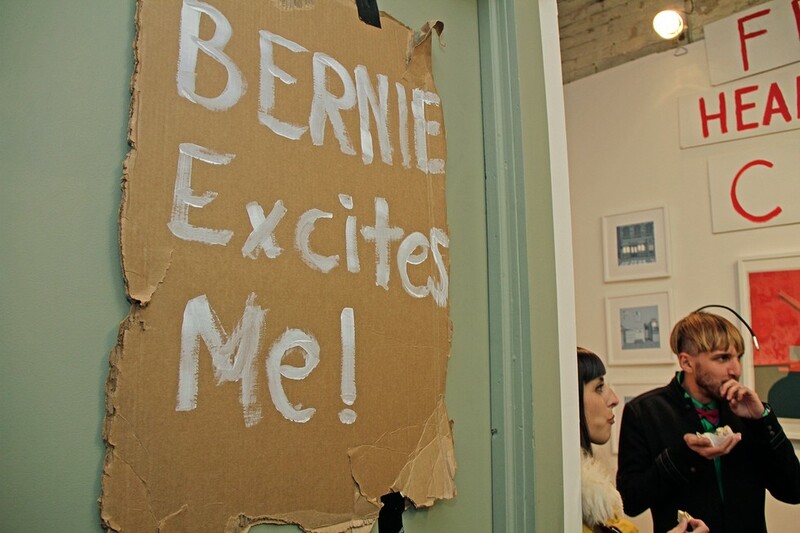 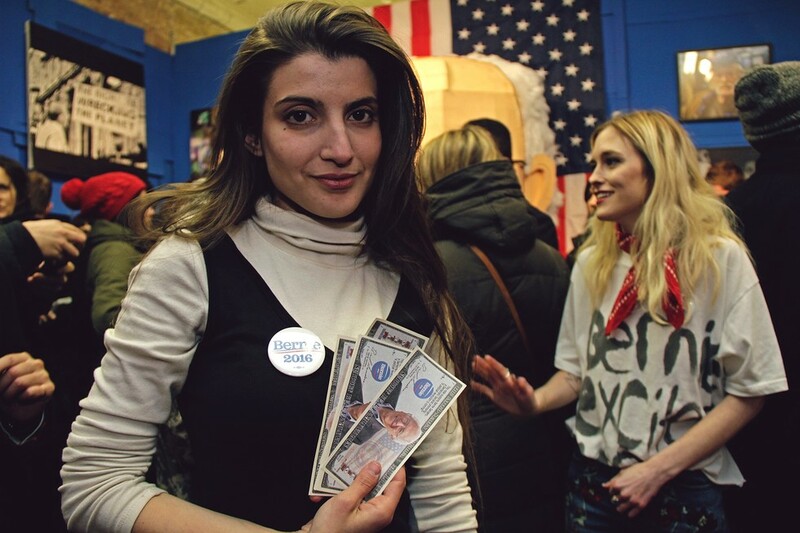 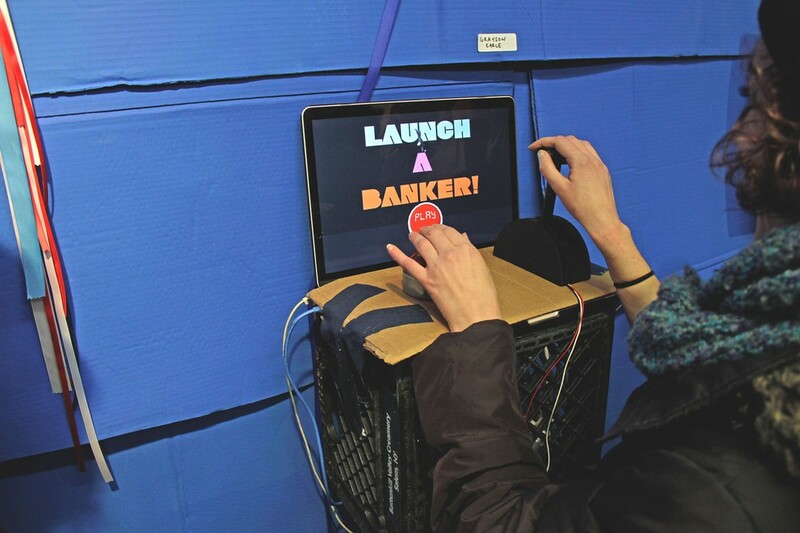 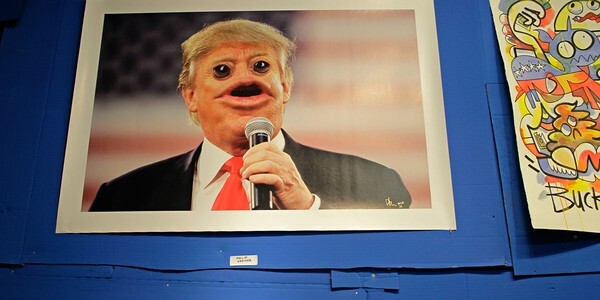 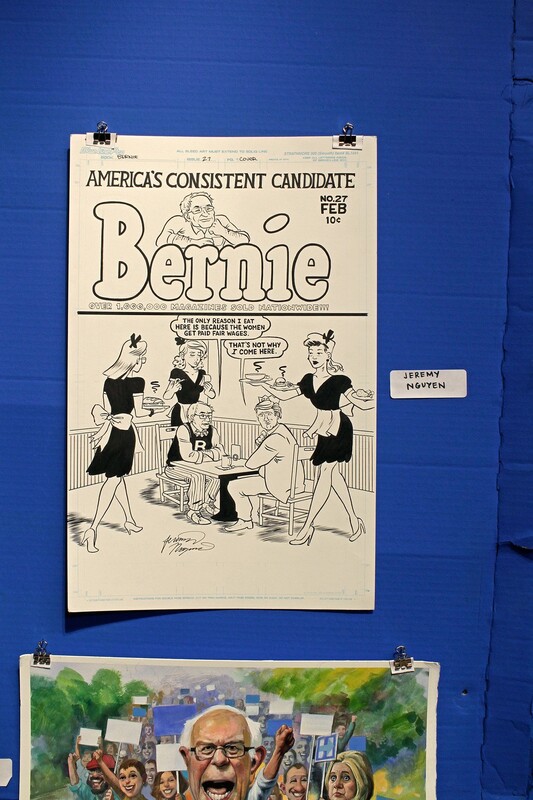 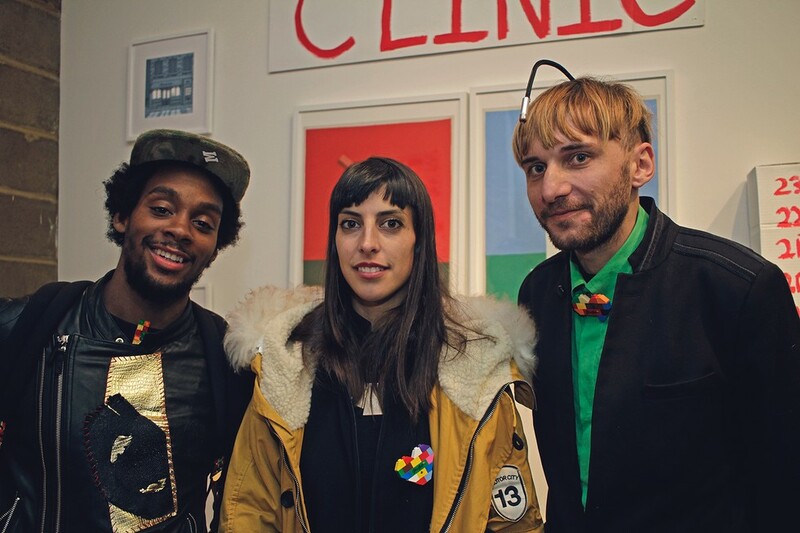 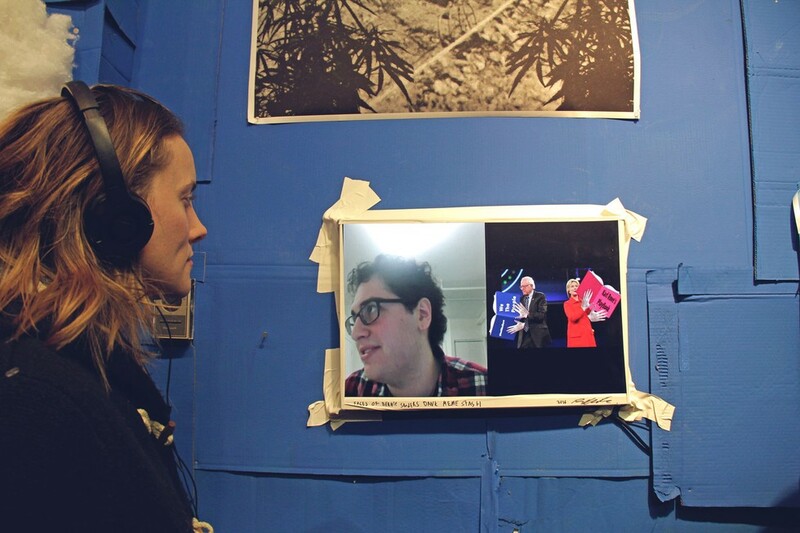 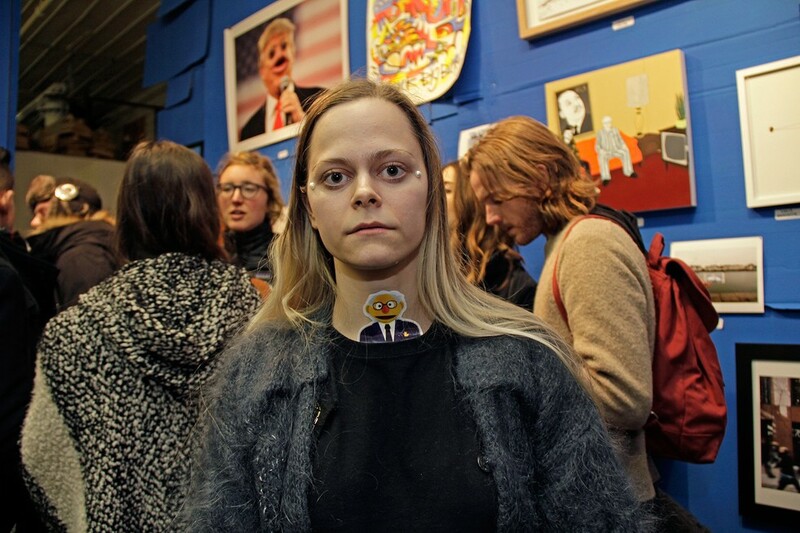 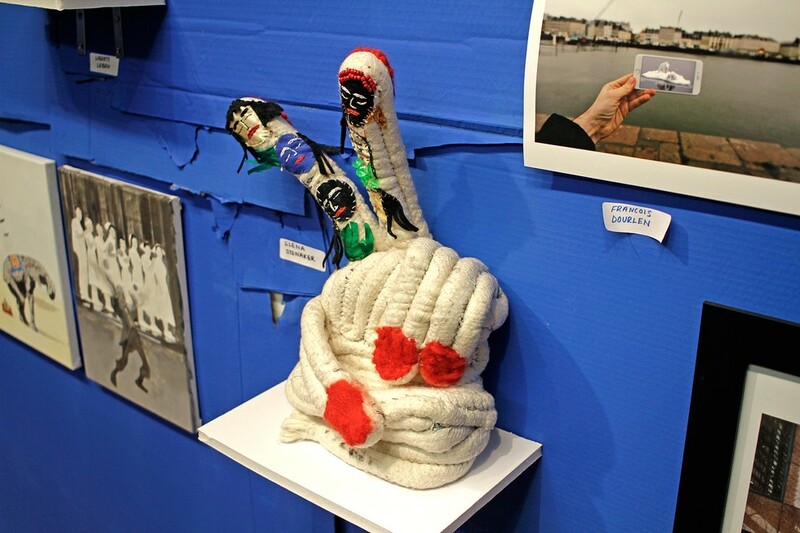 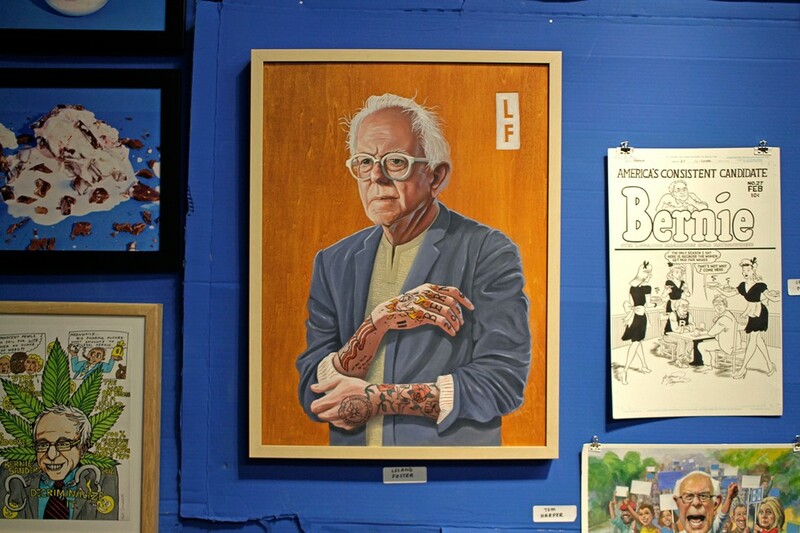 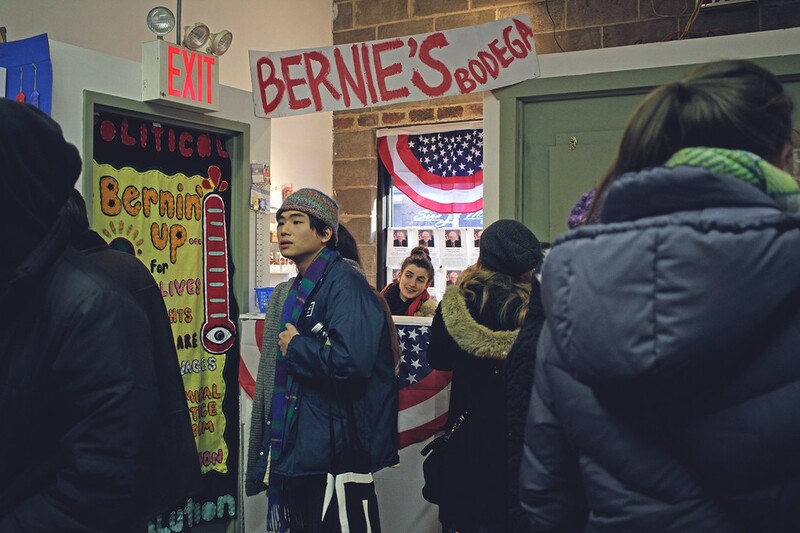 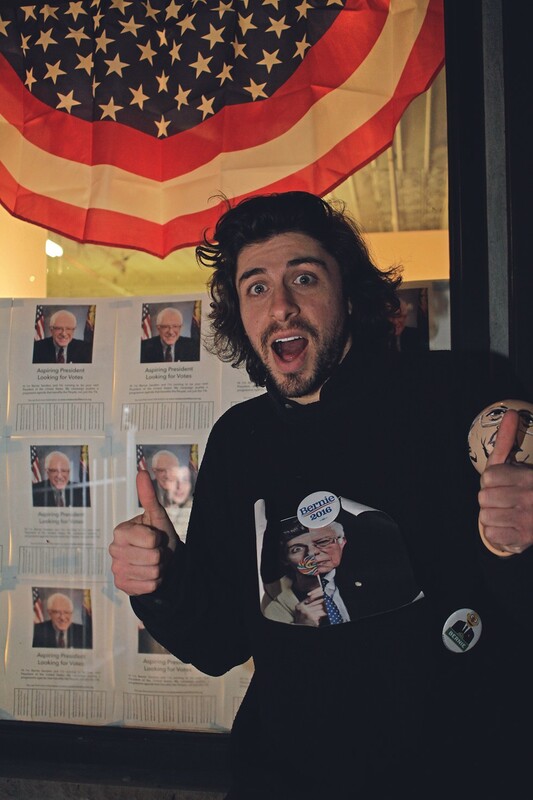 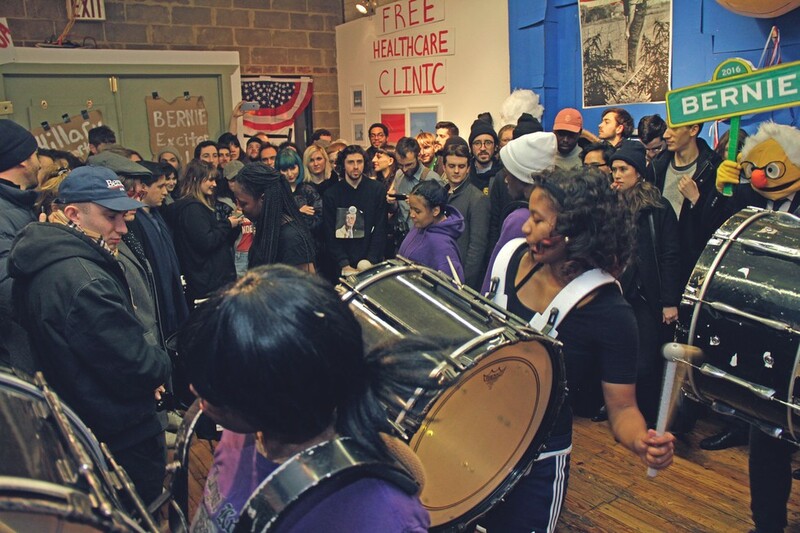 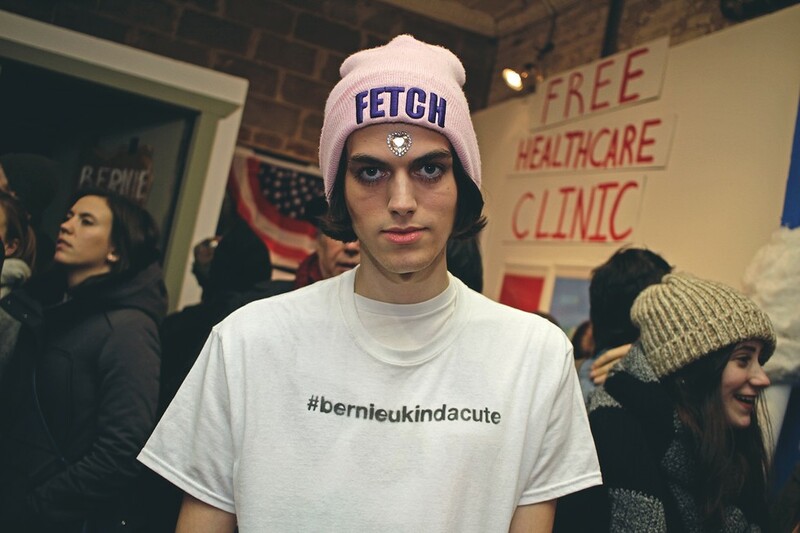 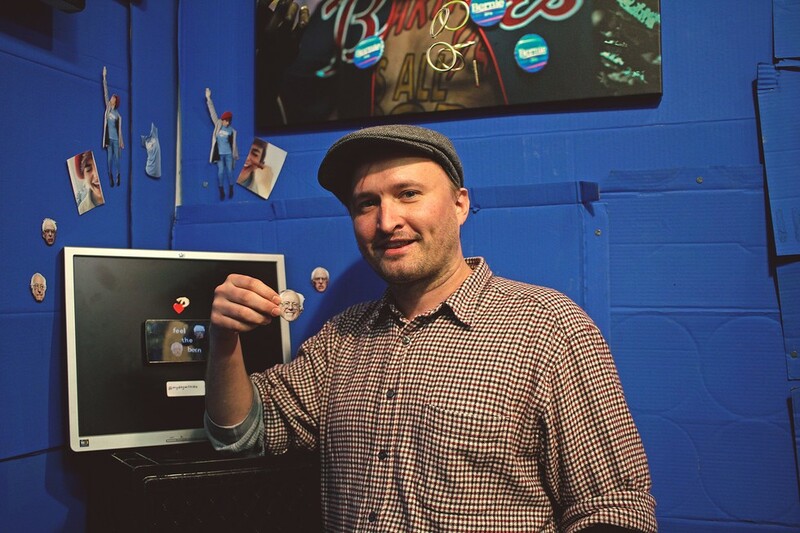 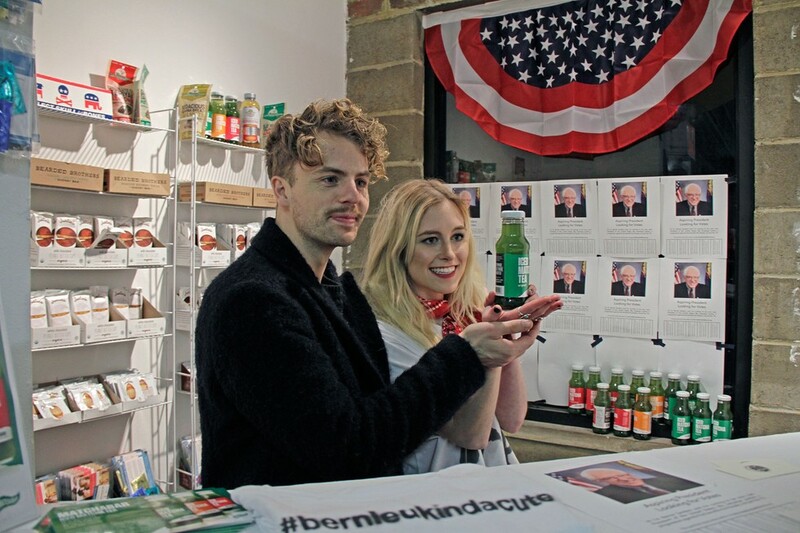 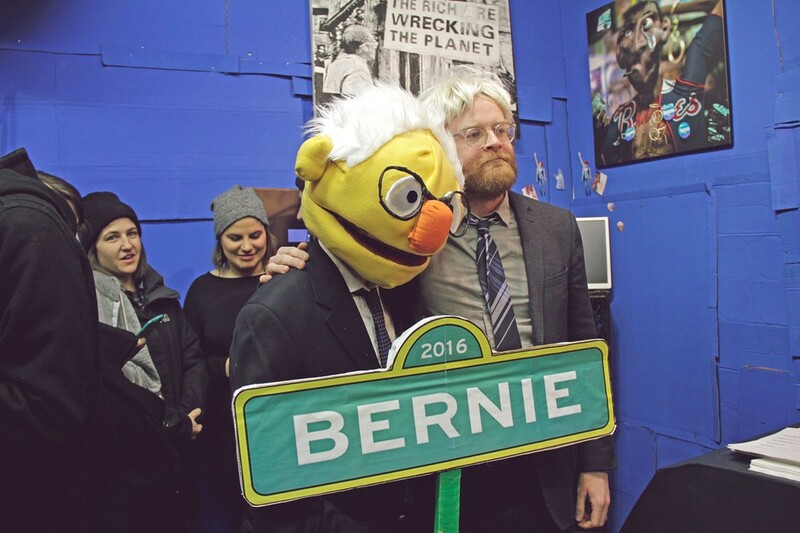 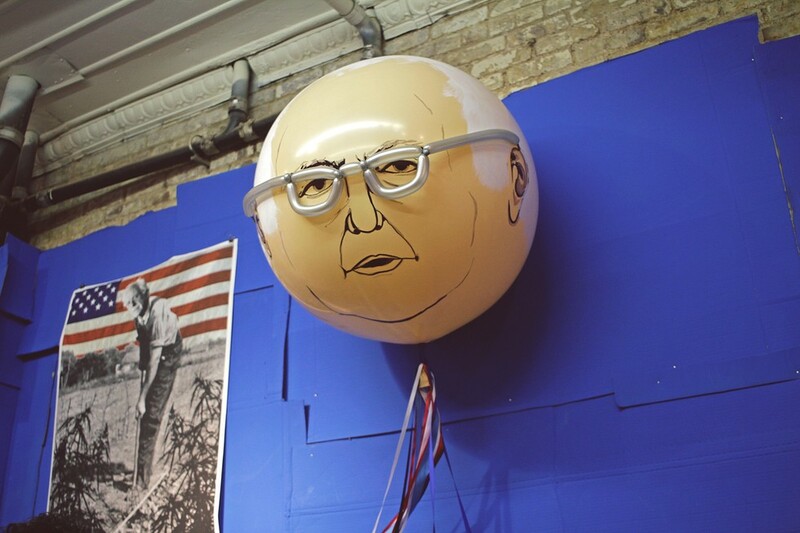 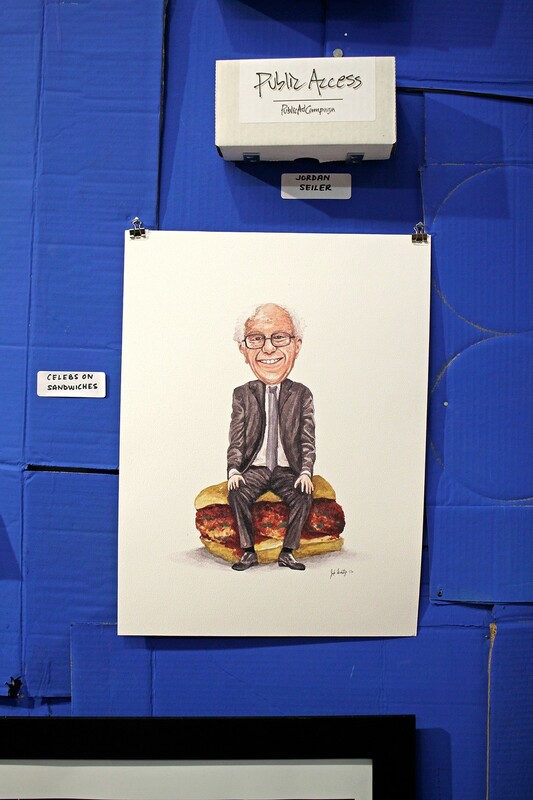 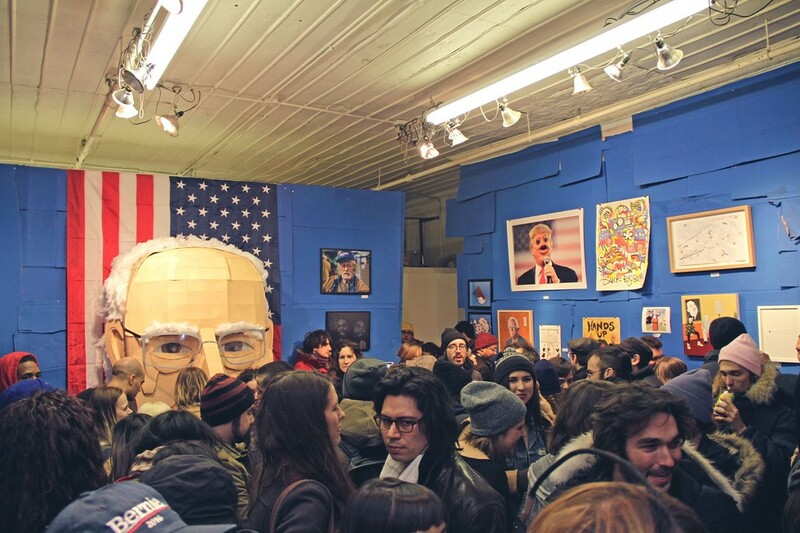 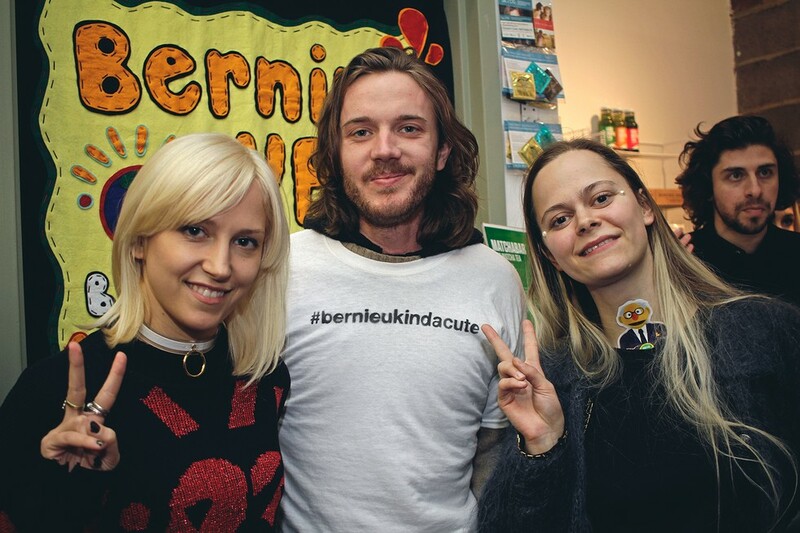 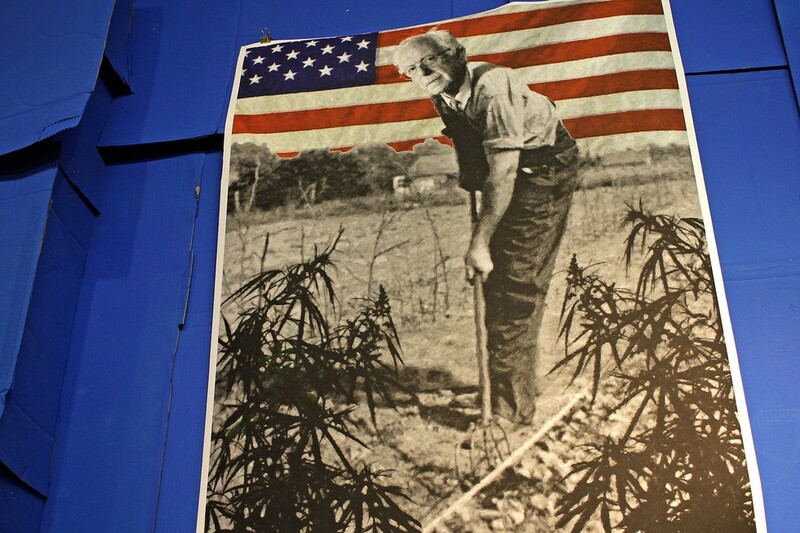 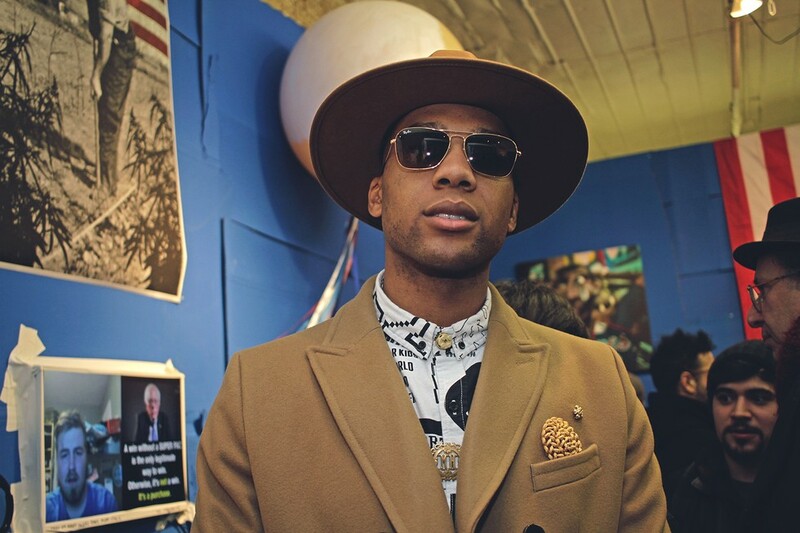 Brooklyn is burning for none other than Democratic Socialist Presidential candidate Bernie Sanders, as a curated art show organized held over the weekend at Bushwick's Wayfarers Gallery proves. 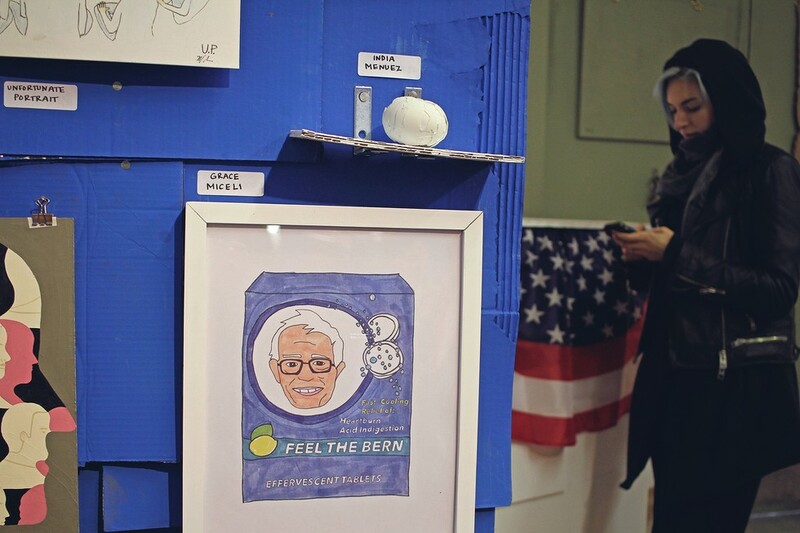 Appropriately dubbed "Weekend With Bernie", the Matt Starr/Brittany Natale-organized event featured a whole host of works inspired by the man himself in a bid to "educate, inspire and excite young people to vote and get involved" pre-primaries -- with all the profits going towards Bernie's campaign. 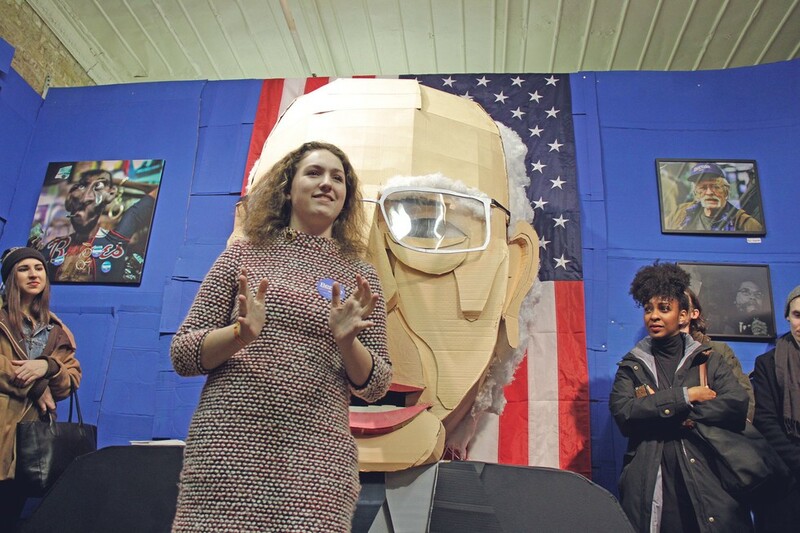 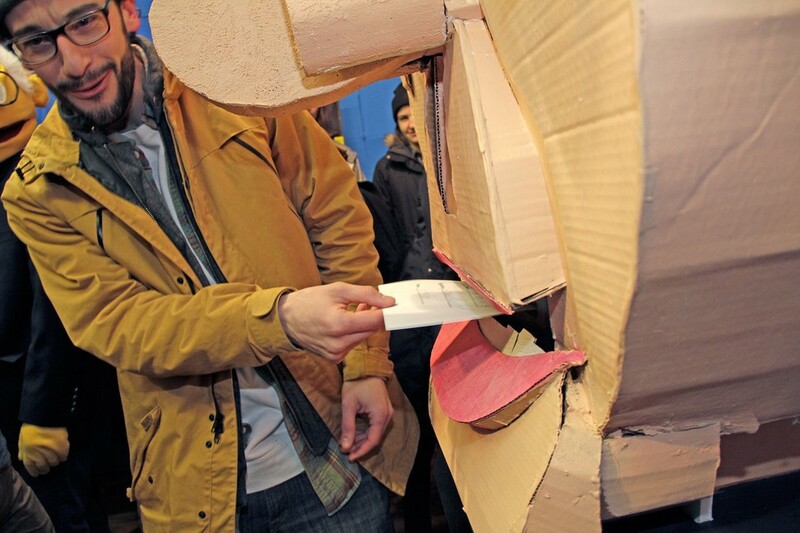 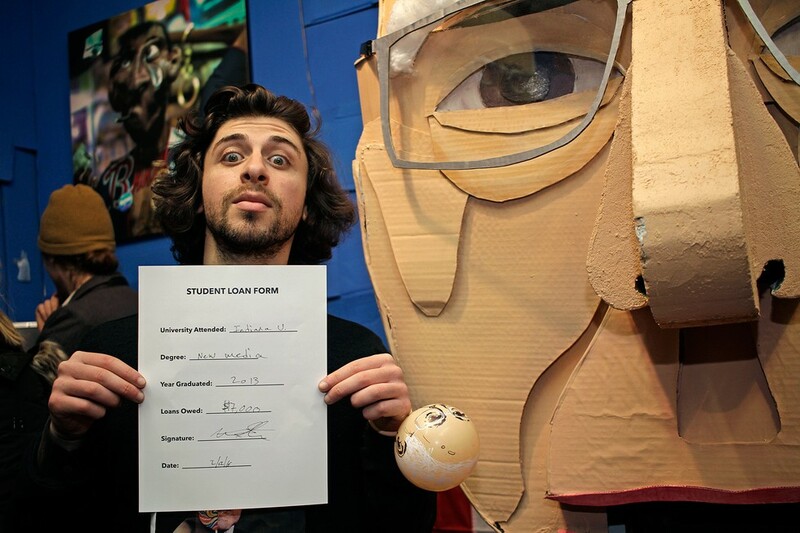 Peep a few photos of the event by Luis Nieto-Dickens below, which included everything from a gospel choir to a marching band to a nurse offering free check ups to a giant Bernie head that eats your student loans...because nothing gets the youth voting like paper shredding.